If you’re here then you’re probably planning one of the most amazing days of your life. Your to-do list feels endless - the decorations, the venue, the dreaded seating plan! But, now that you’re here, you can relax and confidently strike one thing off your list: photography. When we collaborate I tastefully document the special moments of your wedding story. Giving you timeless photographs you’ll want to share. Forever. And the best part is…you’ll hardly even know I’m there! I choose to shoot just 10 weddings a year, allowing me to focus all of my energy on you and your partner - giving you a uniquely intimate and personal service. Hello! 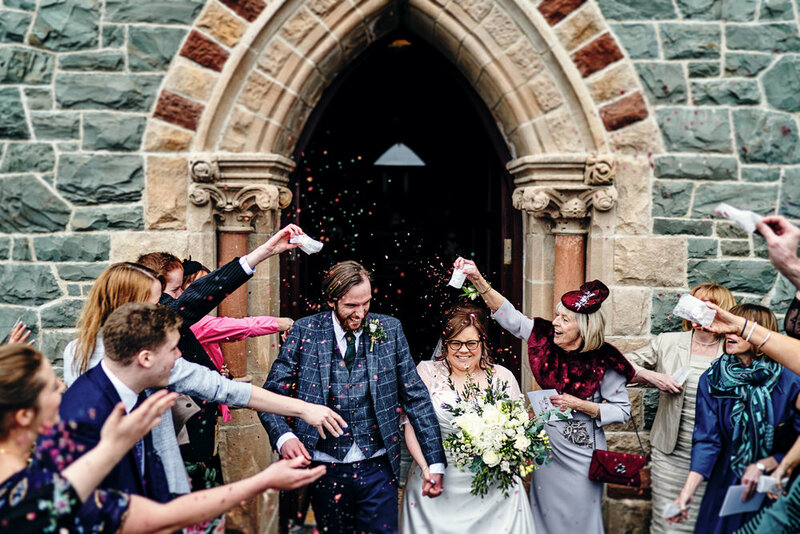 I’m Ryan, a husband, father, chartered engineer, and wedding photographer, based in Holywood Northern Ireland, and yes, I am going to be cliché, I love photography! I have the wonderful privilege of being able to call myself a wedding photographer, indulging in the one thing that never fails to make me happy. I see every wedding as a unique story waiting to be told and I find incredible pleasure in exploring the limitless creative opportunities this provides - blending emotion, warmth, and environments into stunning and enduring images. When I work with couples I go all in, no exceptions. I thrive in the buzz and fast pace of weddings, constantly seeking out striking light and compositions to tell your love story. I am fortunate to have an engineering career which I love but this hasn’t stopped me pursuing my passion for photography. I believe my unique mix of professional experience adds incredible value to my service and is something you’ll encounter every step of the creative process! Do you want a professional and committed photographer? Do you want a stress free experience? Do you want an exclusive service? If you’ve answered yes to all these questions then you’re in the right place. My approach starts with a sit down over coffee, where I take the opportunity to get to know you and your partner and learn how you both ended up at this exciting point in your lives together! I then encourage you to ask me as much as you can as I believe it’s extremely important that my style, personality and approach match your vision - this is your day after all! If you think we’re a match then you become one of the 10 couples I collaborate with every year. This exclusivity means I can cater to your exact needs and be on hand to offer help and advice throughout your wedding story - never be afraid to ask me questions! I want you to have the best photographs and service possible. This is why I put you and your partner centre stage. From our first chat, to the wedding shoot and photo editing, I engage with my couples as much as possible, reading your love story and bringing it to life in my signature style. I have curated three packages to help make your booking experience as simple as possible. I also offer incredible flexibility with my extras menu, which allows you to mix and match some of my most popular services to build your own perfect package! want to go off pIste? One of the best things about working with 10 couples a year is that I have time to help couples plan their own photography package. If you have a special requirement or unique idea for your big day just let me know and I will do my very best to accommodate you - I’m not afraid of a creative challenge! Ready for my price list? If you think we are a good match then please complete the form below and I will send you my price list in an email. I look forward to being your wedding photographer!